Pittsfield- Mr. Nestor T. Lozada, age 77, died Tuesday, June 26, 2018 at the Berkshire Medical Center after a sudden illness. Mr. Lozada was born in Ambato, Ecuador on August 22, 1940 a son of the late Miguel and Herminia (Santana) Lozada. Nestor moved to Pittsfield as a young man in the 60s for schooling, and he then attended Berkshire Community College. Nester later began working for General Electric Company as a Transformer Technician. He retired from GE in 1997 after 25 years of service. In his retirement, Nestor enjoyed working security detail with Global Security at Tanglewood. He also enjoyed his many trips home to Ecuador to visit with family, and could often be found watching Soccer on the television. 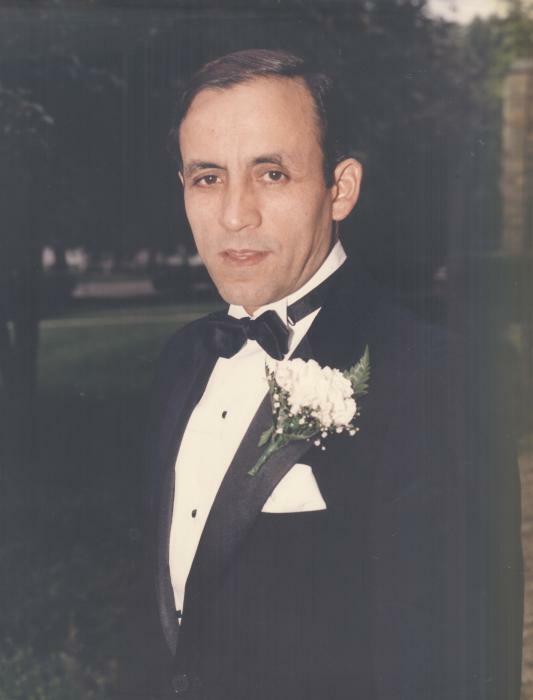 Mr. Lozada was a long time member of St. Mark’s Church in Pittsfield. Nestor married the former Anne J. Clancy on July 27, 1985 at St. Mark’s Church. He passed away only one day before their 33rd wedding anniversary. Besides his wife, Nestor leaves his three step-children, Donna Murphy and her husband Glenn of Pittsfield, Michael Driscoll and his wife Kelly of East Granby, CT, and Patrick Driscoll and his wife Joann of Pittsfield, his 6 brothers, Luis Lozada of CA, Miguel, Pepe, Wilson, Francisco and Carlos Lozada all of Ecuador, and his sister Yolanda Santana of Ecuador. He also leaves his 3 godchildren, Brandon and Christina who live in Pittsfield and Omar who lives in Ecuador, many beloved nieces and nephews, who he adored, and a brother-in-law, Daniel Clancy and his wife Marilyn of South Dartmouth. Nestor was predeceased by his sister Celia. SERVICES: Liturgy of Christian Burial will be held Thursday, July 5th at 10am at the St. Mark’s Catholic Church, 400 West St. Pittsfield, with Rev. David Aufiero, pastor, officiating. Friends are invited to meet directly at the church. Funeral services are under the direction of the Devanny-Condron Funeral Home. In lieu of flowers, memorial donations may be made to St. Mark’s Church in care of the Funeral Home.